Offering you a complete choice of products which include caller id dial pad telephone, dial pad, call center dialer, caller id telephone, gsm dial pad and office dial pad. 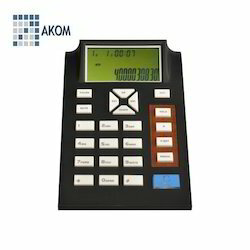 We have crafted a strict foothold in the industry by offering a premium quality collection of Caller Id Dial Pad Telephone to our customers. 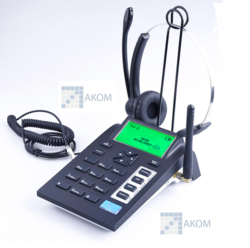 The offered telephones are made available in multiple specifications to fulfill the requirements of several applications. We have crafted a strict foothold in the industry by offering a premium quality collection of A30 Dial Pad Telephone to our customers. 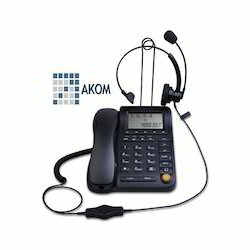 The offered telephones are made available in multiple specifications to fulfill the requirements of several applications. 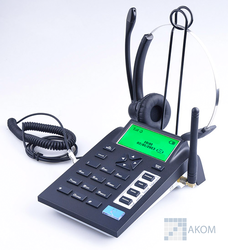 These products have various attractive functionality like caller manual/automatic answer, music on Hold, 3.5 mm jack for voice recorder, Mute function, Connect with 2 headsets (2 RJ-9 jack), Replay, back light adjustment and R key function keys.